Some would see this whole issue as irrelevant or uninteresting, but this is essential to our faith. Even considering the fact that we organize the Scripture into Old and New Testaments (covenants), we should recognize the centrality of covenant, not to mention that the Christian stands firmly upon the promises of the New Covenant purchased with Christ’s blood. So how does Paul treat the Mosaic covenant in his writings? 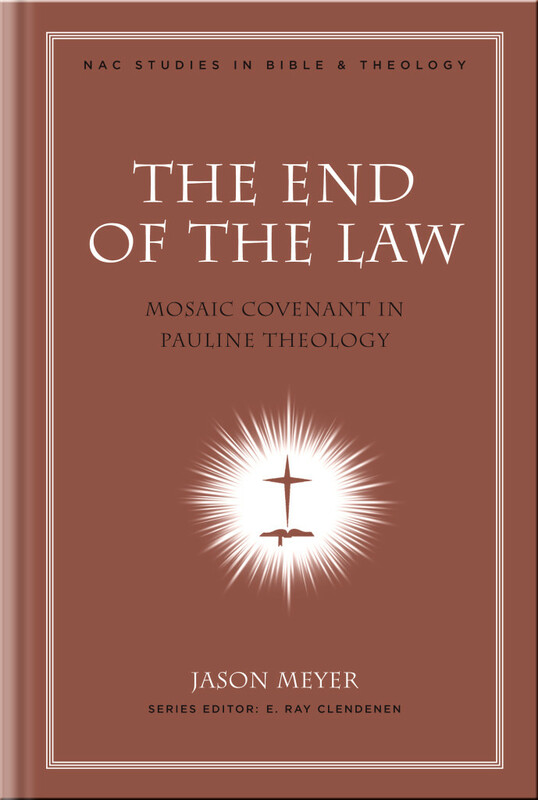 Meyer’s thesis is that Paul sees the Mosaic/old covenant as “fundamentally non-eschatological in contrast to the eschatological nature of the new covenant.” (p1). What Meyer means exactly by his thesis is clearly unpacked throughout the book, but to put it simply in Meyer’s language, the Mosaic covenant is transitory and impotent (it cannot create what it demands), whilst the new covenant is eternal (eschatological) and effectual because it partakes of the power of the Holy Spirit to accomplish what it demands. Meyer walks a very logical path to substantiate his thesis. He begins with an introduction outlining various approaches taken to the continuity/discontinuity debate regarding the old and new covenants, and also explains his own methodology throughout the study. Next Meyer shows from Rom 9:4 and Eph 2:12 that Paul understands the Mosaic covenant as an important part of God’s unfolding plan and not in conflict with the other covenants. In chapter 3 Meyer profitably traces Paul’s use of the adjectives “old” and “new” as setting a foundation to his understanding of the covenants. Chapters 4 through 6 make up the heart of the book where Meyer examines 2 Cor 3-4, Gal 3-4, and Rom 9-11 respectively, particularly focusing on Paul’s contrast between the old and new covenants. Finally in chapter 7 Meyer seeks to display that Paul’s understanding of the Mosaic Law is not out of step with Old Testament’s own teaching. I must admit, I wasn’t sure if I would enjoy this book. I saw many positive reviews but thought to myself ‘isn’t Paul’s attitude towards the Mosaic covenant just too narrow of a topic for a whole book?’ Wouldn’t it quickly become tedious? Well, surprisingly this was not the case at all! I see at least two reasons for why this book was so enjoyable. Firstly, Meyer dove headfirst into his study. He was clearly passionate and thorough, which make a wonderful mix for the reader. His engagement with scholarship was wide, respectful and careful. Alternative views were represented fairly and examined thoroughly. There were a few in-depth examinations of alternate views which took the form of an excursus. Meyer’s own exegesis was excellent and reverent; I didn’t see him jumping to any odd conclusions and I agreed with virtually all of his major ones at least (see below). Also, Meyer stayed on task for the whole book; it was his laserbeam focus that actually kept the study so interesting. Secondly, Meyer’s writing itself was a breath of fresh air. I didn’t know that academic books could be written so clearly, Meyer has put many others to shame here. At the beginning of every section Meyer told the reader why this section was important and then at the end of each he recapped the conclusions and the implications for his thesis. He constantly guided the reader. I don’t know how many times I’ve read an academic study and thought to myself, “how did we get here, and why does this section matter to the thesis of the book?” With Meyer, this was never an issue. I kept thinking to myself that Meyer would make an excellent commentary writer because he was so clear to follow, a trait especially beneficial in exegesis. With that gushing praise aside, there are two issues I’d like to raise. 1). Why then was the law given? (Gal 3:19). In pp 166-170 Meyer surveys three main ways of understanding why the law was given, 1) to restrain 2) to define 3) to increase transgression. Meyer opts for the third view, admitting that the second view may fit alongside it, but concludes that the first is unlikely. He gives good arguments for his conclusion, but I find it hard to believe that the law had no restraining purpose and was only given to increase transgression in preparation for Christ. Surely the law was also used to preserve God’s people from the corrupting influence of surrounding nations? While it may seem contradictory for me to suggest that the law was designed to increase and restrain sin, but are both mutually exclusive? Could God have given the law to (incompletely) guard His people from idolatry while revealing their sinfulness and inability, thereby increasing their accountability for sin and displaying the inadequacy of the covenant, all at the same time? My suggestion here seems to preserve the whole Scriptural witness, but perhaps I will change my mind as I study more. 2). “Metaphorical circumcision”. This is a relatively minor issue, but Meyer continually refers to circumcision of the heart as a “metaphorical circumcision” (see esp. chapter 7). If by “metaphor” he means that heart circumcision is symbolic, then what does it signify? I suspect we’re on the same page here, but probably would just use different terminology. Instead of a metaphor, I’d argue that it is a literal and spiritual reality. Paul seems to see it as a very literal (Phil 3:3; Col 2:11) but non-physical experience. So why does this matter? Something being spiritual need not mean it is non-literal and therefore merely a metaphor, for example the church is literally the temple of God. Paul’s not just using a metaphor there. In fact, why not see the circumcision issue the other way around: physical circumcision is the metaphor/symbol of the spiritual, truer circumcision? Neither of these reveal serious problems with Meyer’s work so I would not want my comments to keep someone from reading this. A book that provokes deep questions and even disagreement isn’t a bad thing. I’d appreciate any comments on these questions I’ve raised since they’re not entirely settled in my mind. The End of the Lawwas a pleasant surprise. Against my first impressions, a study on the old vs. new covenant in Paul’s writings definitely warranted a book, and I am all the more grateful that Meyer has provided one so excellently written and argued. Despite the accessible prose, this is an academic work, and will be more technical than many would want. However, to seminary students, pastors, and studious Christians, I would highly recommend The End of the Law. It should be mentioned that those who hold to either Dispensational or Covenantal Theology will certainly find things with which to disagree. Contra Covenantal Theology, Meyer believes all partaking in the New Covenant are saved, and Meyer appears to hold less of a distinction between Israel and the Church than a Dispensationalist. However, both of these areas, though closely related to the subject of Meyer’s study, are relatively minor to his actual conclusions and should not keep one from reading this book and benefiting from it. We all need a clearer understanding of what it means that Christians are members of the new covenant, live in the new age inaugurated by Christ, and are empowered by His Spirit. The wonderful realities of our experience are all the more striking when we understand the contrast between our experience and that of Israel under the old covenant. In Christ we have a perfect saviour, the gift of the Spirit, the law written on our hearts, unveiled faces and are children of the promise. The end of the ages has come (1 Cor 10:11) in Christ. I’m grateful to Jason Meyer and this work, The End of the Law, for drawing these elements to the fore.